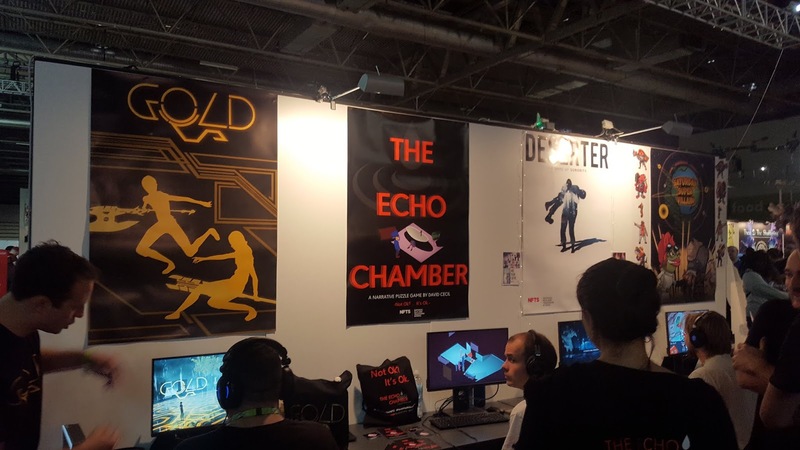 I think one of my favourite areas of EGX 2018 was the area occupied by the National Film and Television School. 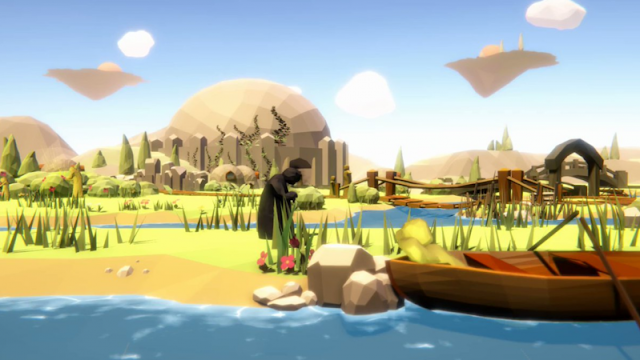 Games Design & Development at the NFTS is a world-class MA for future games innovators where students are encouraged to challenge the meaning of games and interactive experiences. The course is tutored by industry experts as the students work with cutting-edge technology to develop their visions and ideas into a reality. Unfortunately due to time-constraints I wasn't able to play every game being showcased, but I did manage to play six of them. Saturday Super Villain is a card battler inspired by the Saturday morning cartoons featuring whimsical characters and wholesome plot threads. In Saturday Super Villain, you are an aspiring villain trying to take over the world and must battle it out with the "heroes" that stand in your way. 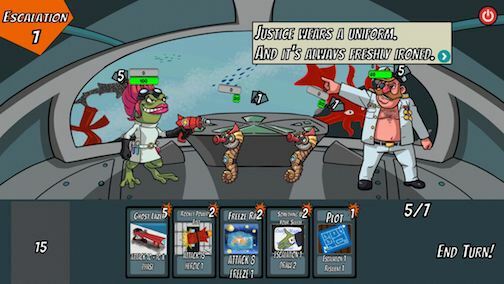 The game works as many other card games do; you take turns to use different cards that provide buffs and debuffs to yourself or your opponent. Some cards can only be used once you reach a high enough 'escalation', whereas some may not be usable at all if you're currently debuffed. I have to admit, I am very bad at card games. I died very early on during my session, much to the amusement of the game's creator, Joel Marshall. Still, the cheesy puns, nicely drawn characters and the humorous story were the aspects of the game I appreciated the most. It will be interesting to see how Joel develops his idea further and how he will incorporate other features such as a story mode. This game is a spiritual adventure created by Mike Murray following a young girl named Izna as she journeys to banish an ancient evil that resides in an abandoned monastery. She is also joined by her spirit guide, taking on the form of a large elk. Along the way the game has elements of platforming and puzzle-solving as you help Izna reach her goal. There's also a meditation feature that will allow Izna to charge up some energy to access new areas. After playing the short ten-minute demo, I spoke to Eternal Spirit's marketing manager Natasha Oldham. "Tibetan spiritualism. That's what the game is inspired by," Natasha told me. "The original idea stemmed from the Himalayan Mountains, and even that name means Eternal Snows. When it comes to games, Journey and ABZÛ were huge influences for our developer, Mike. For him it was all about that chilled, casual, meditative experience of those games and the fact that you don't really do much but the world is so beautiful and enchanting." A key part of Eternal Spirit's magic was captured through its use of colour, which features a lot of contrasting blues and oranges. "Colour was really important. In terms of its tibetan inspiration, there's so much colour in that culture. Reds, purples, golds, and we wanted that combination of the real world versus the spiritual world. Everything in the spiritual world are those glowing, ethereal blues and purples. And that's what we wanted to represent. The dynamic of the two worlds coming together." The Monomer is a lonely being. He is a dark, melancholy figure existing in a healthy world of colour. In Misfolded, you are the Monomer as he tries to befriend The Natives, who populate and thrive within his world. 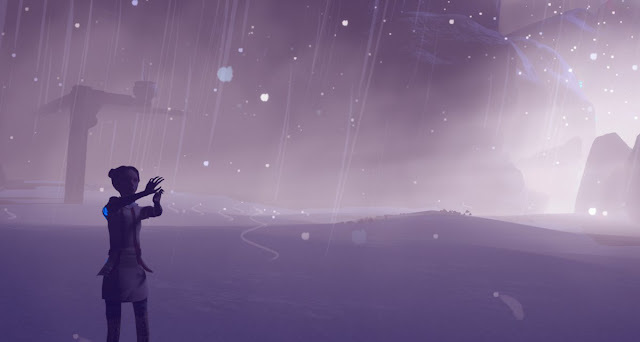 Misfolded is a 2.5D narrative adventure game that explores themes of loss and the importance of memory. There are platformer and puzzle elements that also interact with Monomer's desire to find companionship in this world, yet anything he tries to do only backfires on him. The game seeks to deliver an emotional experience created by Timothy Kaufmann with an outstanding team of collaborators. Imagine taking the watchful eye of Orwell and using it to mediate a Metal Slug type of videogame. In Obviously Inappropriate Content, creator Shuaiying ‘Shane’ Hou has crafted an experience that has you censoring content for an in-development game under government regulation. 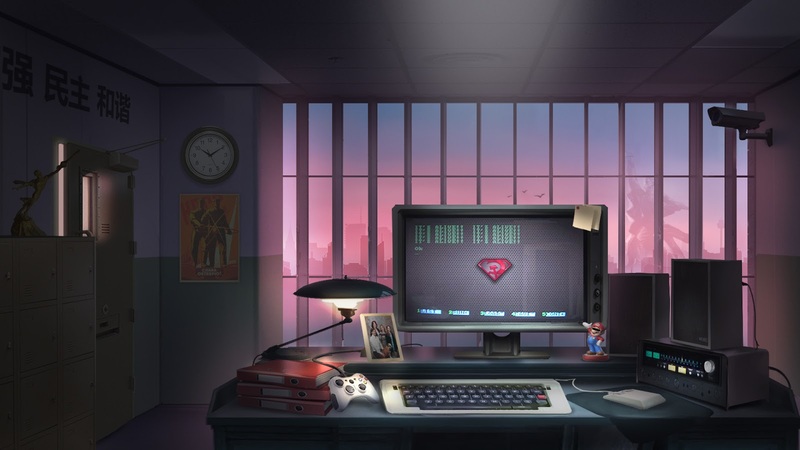 You'll be presented with a fake desktop UI and have to answer emails, check your to-do lists, and then test the game which is a fictional parody of an Eastern-bloc country. With this game, Shane sets out to make a statement about the development of videogame censorship as well as how it might affect the industry as a whole. 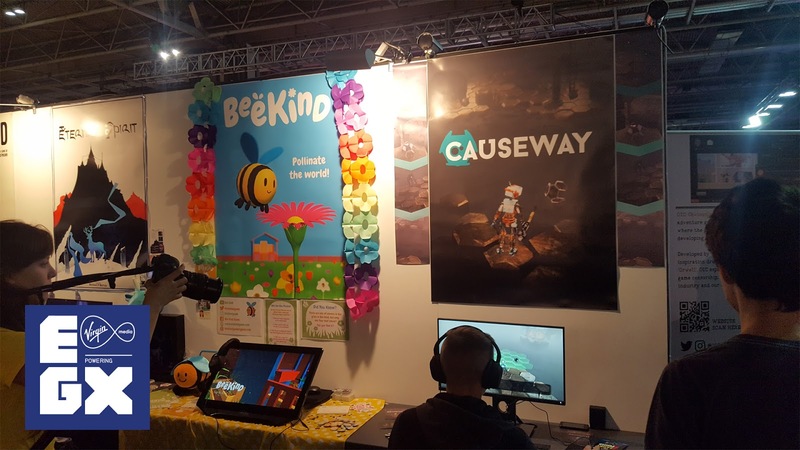 "The thing about roguelikes is you're often at the whim of random numbers," said Niru Fekri-Arnold when showing off his game, Causeway. "I thought it would be cool if I could put a little bit more agency into the player's hands. Rather than being in a room designed by an algorithm, you'll get to design that space for yourself." In Causeway, the player is able to construct platforms for themselves in order to navigate a world built very similarly to the Giant's Causeway in Northern Ireland. As they explore, the player will enter turn-based combat situations. During my session, I managed to beat the first sequence, which involved fighting two drones, but I died on the second encounter. Niru reassured my ego by saying a lot of people haven't made it to the end of the demo. I don't know if I believe him. "There's a lot of nuance to it and the ideal thing is you think you're being sneaky by moving out of their cone of view only to realise you're being tracked. You learn it the hard way and I do like that trial-by-fire. Hopefully those first few shots don't kill you and you can take that knowledge forward, but it takes a little bit of a warm-up." 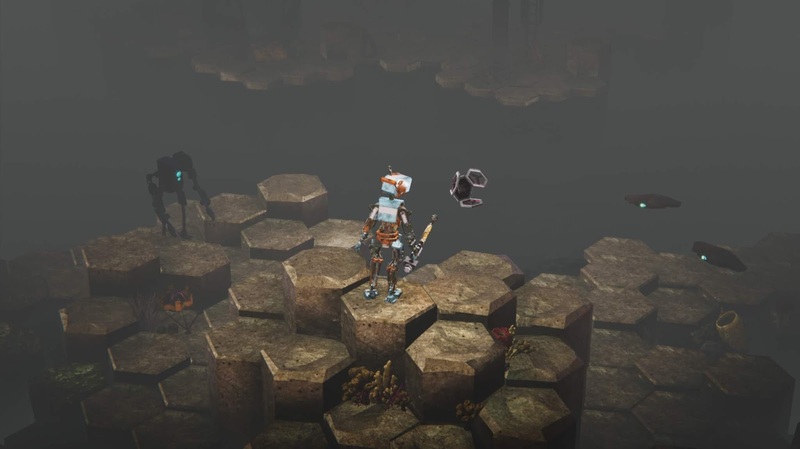 Niru, who likens the game to a cross between Terraria and the XCOM series, is planning on adding more to the formula such as additional enemy types and abilities. Turn-based shooter fans should keep their eyes on this. A year ago Daisy Fernandez watched Paths of Glory (1957) by Stanley Kubrick. "I thought the idea of a group of soldiers being court-martialed for desertion could be a really interesting angle for a videogame," she told me. "A lot of the military games we come across protect the player character as a noble hero, and I just thought I wanted to do a videogame where you're playing as a deserter and doing something morally reprehensible. 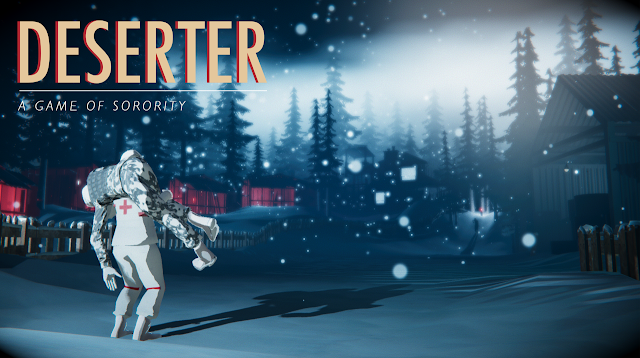 In Deserter, your character is a nurse who has abandoned her post to carry a wounded soldier across war-torn farmland. Along the way she has to avoid both sides of the conflict as well as the militant farmers that occupy the land, and as the narrative continues players will be taken on a journey in which they will uncover the secret that binds the two women. The most important aspect of this project for Daisy was how she wanted to represent the role of women in this game. "I want to see female characters who aren't morally virtuous. If you think of every great anti-hero, most of them tend to be male and I would like to see more female anti-heroes, especially in videogames. When you're taking on the agency of this character in Deserter, it's much more of a shock to play the game and realise you've done something a bit messed up." I'm really interested in seeing how Daisy expands this idea over the remaining course of development, and her advocacy for more female and minority representation in this type of genre is something I think a lot of people are going to get behind. Overall, I really loved seeing what the NFTS was showing this year at EGX. While I sadly did not get to play every single project, what I did see was a lot of hard work, unique ideas and optimistic outlooks for the future. I'll be keeping an eye on every single one of these games as they continue development.